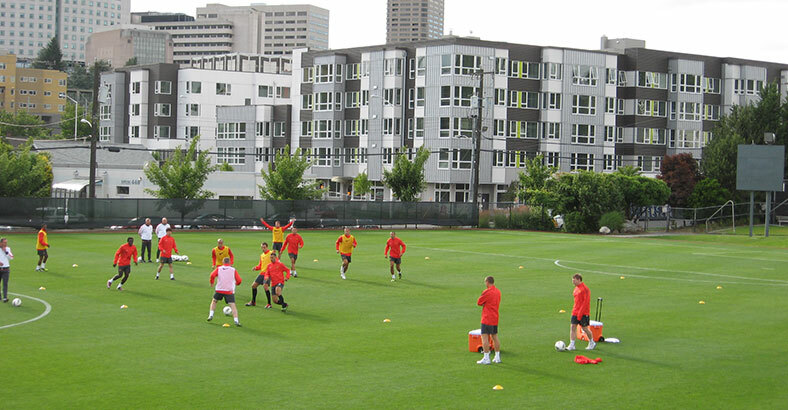 Seattle University is transitioning from Division II NCAA athletics up to Division I. 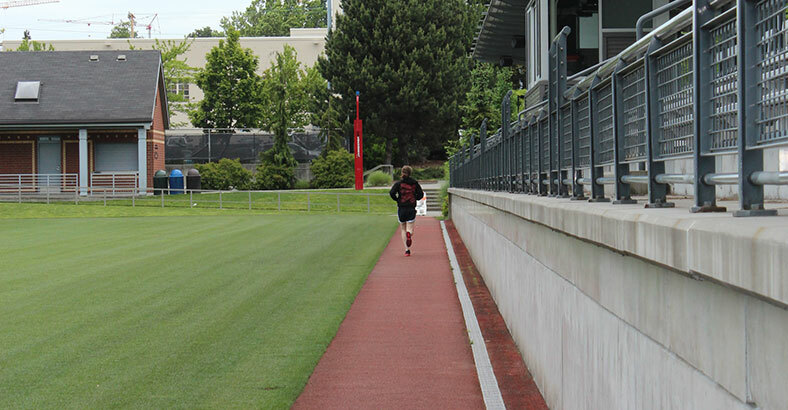 Our firm was hired to provide an assessment of the university’s athletic facilities to determine any improvements necessary for meeting NCAA Division I standards. The assessment included the evaluation of the physical facilities, including: playing surface, utilities, drainage, and sportslighting at the University’s Championship Field. The evaluation also included support services needs such as restrooms, concessions, spectator seating and access, sports medicine, and strength and conditioning, as well as landscape and streetscape improvements. Poor drainage restricted the use of Championship Field to a limited season of late spring to early fall. 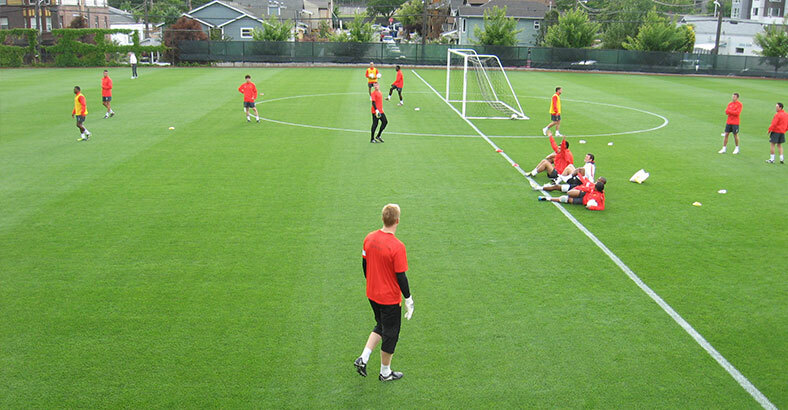 Renovations – including new subsurface drainage, irrigation, sand root zone, and sod surface – solved the field issues. 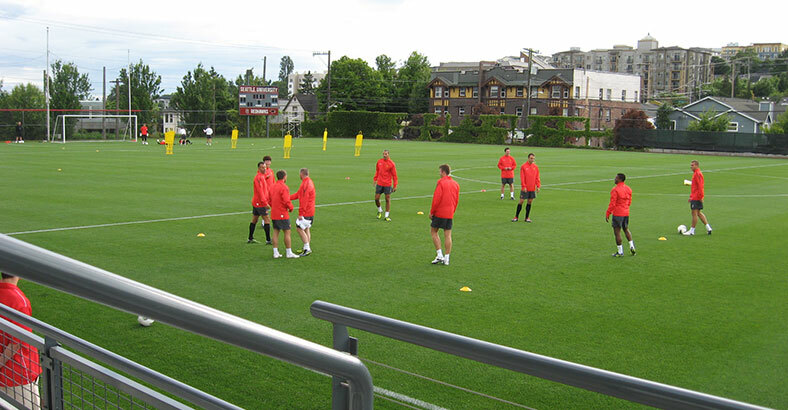 The result is a premier natural turf facility that has hosted practices for various teams besides Seattle University, including Manchester United. The renovation of the natural grass facility was so successful that people viewing the field have mistaken it for synthetic turf.